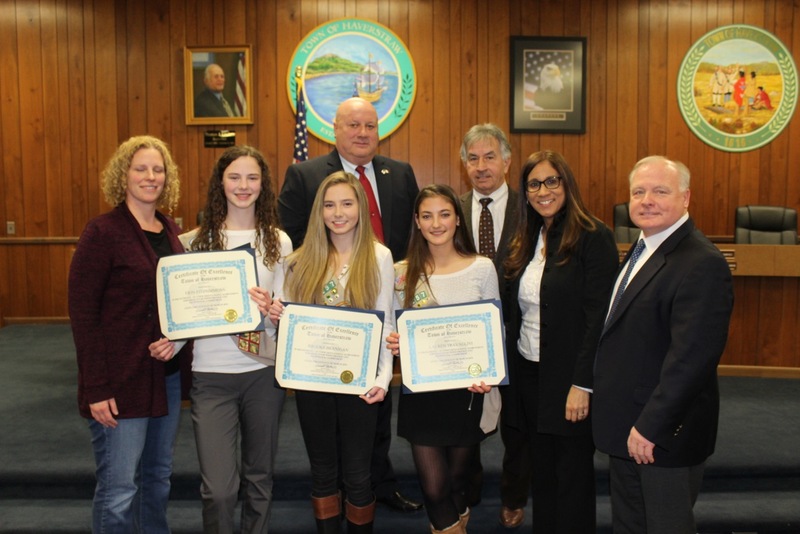 At the Haverstraw Town Board Meeting this week, Supervisor Howard Phillips and the Town Board members recognized three young ladies who achieved the Silver Award, one of the most prestigious awards in Girl Scouts. Erin Fitzsimmons, Brooke Hennigan and Lauren Travaglini all earned the Silver Award for their outstanding projects. Erin’s project was the beautification of St. Gregory Barbarigo’s Cross on the Hill and Brooke and Lauren’s project cleaned up the area around the Blessed Mother statue at St. Gregory’s. These Girl Scouts did a wonderful job and the Town of Haverstraw commends them on their hard work. 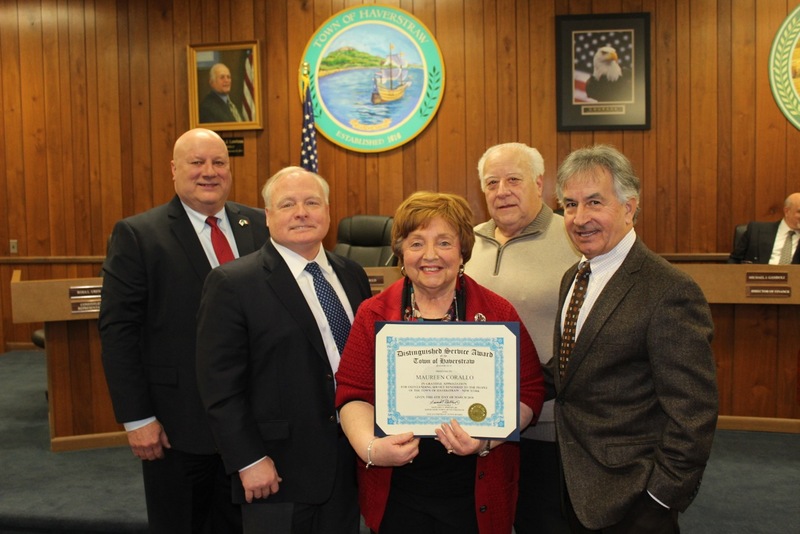 Also at the Haverstraw Town Board Meeting this week, Supervisor Howard Phillips and the Town Board members presented as part of Women’s History Month a Distinguished Service Award to Haverstraw resident Maureen Corallo. Maureen is and has been involved in the Haverstraw community in many different aspects, giving selflessly of her time and abilities. The Town Board wishes Maureen all the best and special congratulations on this award.